In July, the City of Powell approved a pre-annexation agreement with The Ohio State University for approximately 30 acres of land north of Home Road and east of Sawmill Parkway that got the ball rolling for a medical campus to be built. 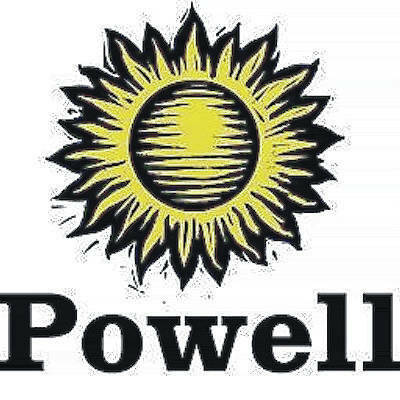 Part of the enticement of the Powell location for the university stemmed from a trio of incentive agreements between the two sides, which were approved at Tuesday’s Powell City Council meeting. Under the first incentive, 50 percent of the city income taxes paid by employees of the medical facilities will be paid back to OSU over a 15-year period. However, the incentive will not kick in until the first year following the date when at least $25 million in payroll is located on the property. As part of that incentive, OSU will also receive 100 percent of the income taxes paid by temporary construction employees for an 18-month period beginning on the first day income taxes are collected from those employees. Both parts of the incentive are based on the city’s current 0.75 percent income tax rate and will remain so regardless of any potential future rate increases. The second incentive involves the installation of the sanitary sewer system on the site. Under the agreement, the city, Delaware County, and OSU will share the cost of the installation. The estimated cost is $900,000, and the city’s contribution will be capped at no more than $300,000. With the third incentive, the city will reimburse OSU $650,000 for street infrastructure costs for the access roads on Sawmill Parkway and Home Road. Along with the sewer installation, this incentive will be paid for with funds from the Sawmill Parkway TIF, and not the city’s general fund. Powell Law Director Gene Hollins said the sewer installation incentive will not kick in until the second phase of the medical campus is ready to be constructed as there are sufficient sewer services available already for the first phase. The street infrastructure incentive will not be required to be paid until 2023 at the earliest, when the appropriate TIF funds will be available. Hollins said the terms of the incentives are consistent with where the city originally felt they would need to be, based on what OSU was asking for, in order to be considered as a location for the new medical campus. Vice Mayor Tom Counts cautioned council that while everyone agrees the medical facilities are a great opportunity for the city, the project will not generate money for the city for quite some time because of the reimbursements and the inability to project the type of revenues the facilities will generate. A separate ordinance for the annexation of the land into the city of Powell was on the agenda, but it was tabled until the Jan. 15 council meeting, per the request of OSU. Aaron Underhill, the attorney representing OSU, said the request to delay the annexation was not in any way indicative of problems with the project, and he anticipated they would be ready to move forward in the coming weeks.